Nayanthara, easily one of the top most leading actresses of Tamil cinema is very much busy with various projects such as Dora, Imaikkaa Nodigal, Sivakarthikeyan - Mohan Raja's film and Minjur Gopi's film. As the Naanum Rowdy Dhaan actress is celebrating her birthday today (18th November), the makers of Minjur Gopi's film have revealed the title and the first look poster of the movie. This film, from now on will be called as 'Aramm'. 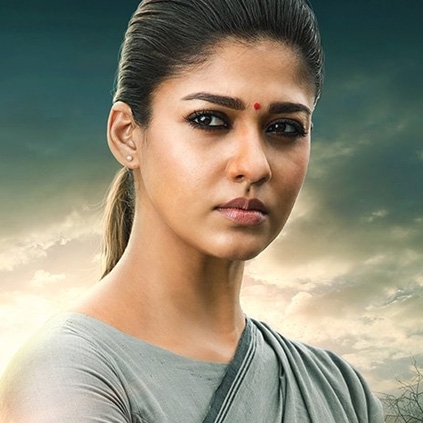 Nayanthara plays a district collector in this film, and it is said that the film talks about water scarcity and its issues. The first look poster has also revealed that this film is based on a true story. This Nayanthara starrer is produced by KJR Studios and has Omprakash wielding the camera. It is reported that a leading musician is expected to compose the music for this film. Happy Birthday Lady Superstar Nayanthara! A new beginning for Suriya! Vijay's latest reaches a huge feat today! Is Director Deekay Directing Nayanthara's Next? People looking for online information on Aramm, Minjur Gopi, Nayanthara will find this news story useful.